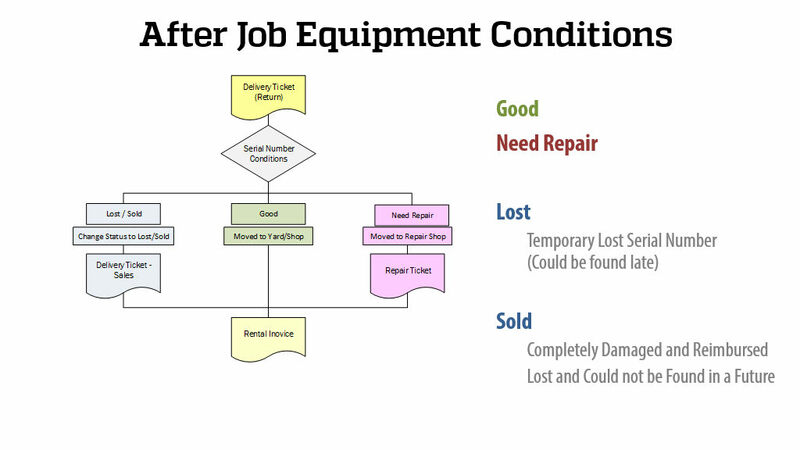 Rental Equipment Repairs Tracking is a very common challenge in Oilfield Rentals. 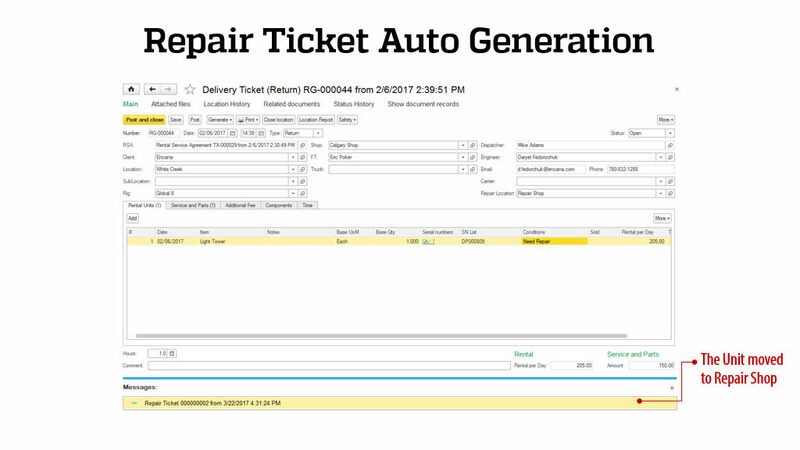 Rental Companies requires an easy and practical tool to trace repairs by serial numbers, clients, locations, jobs, etc. In RigER version 3.5 we added new module equipment repairs. 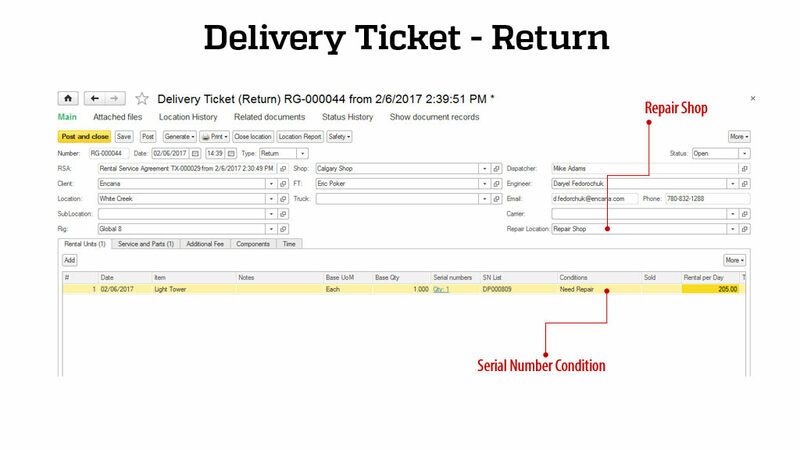 This module allows to track equipment after job conditions, serial numbers need repairs, repairs history (dates and cost), and invoice repairs. 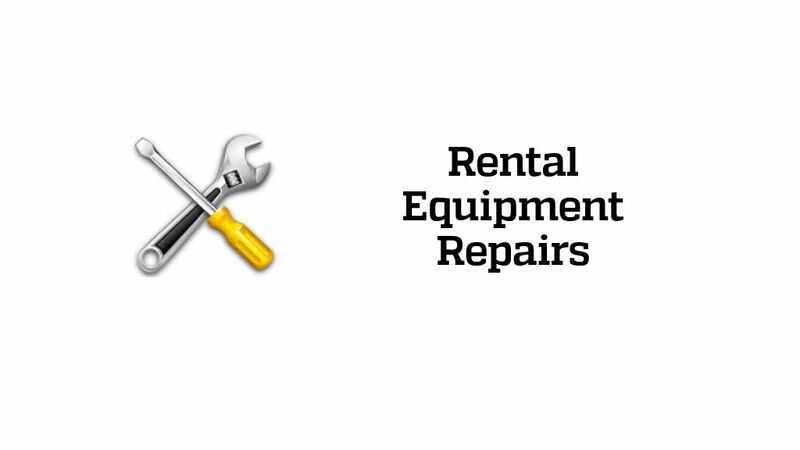 First of all, check if you have Rental Equipment Repair Module in your RigER configuration. 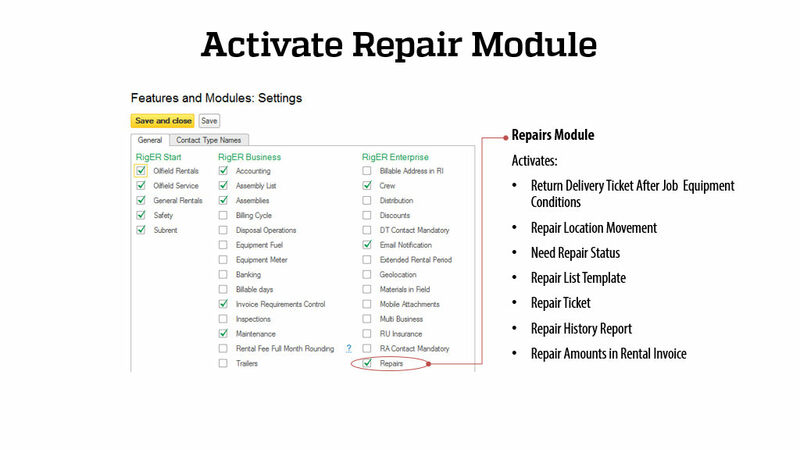 Rental Equipment Repair Module (Repair) is available for RigER Enterprise Plan. 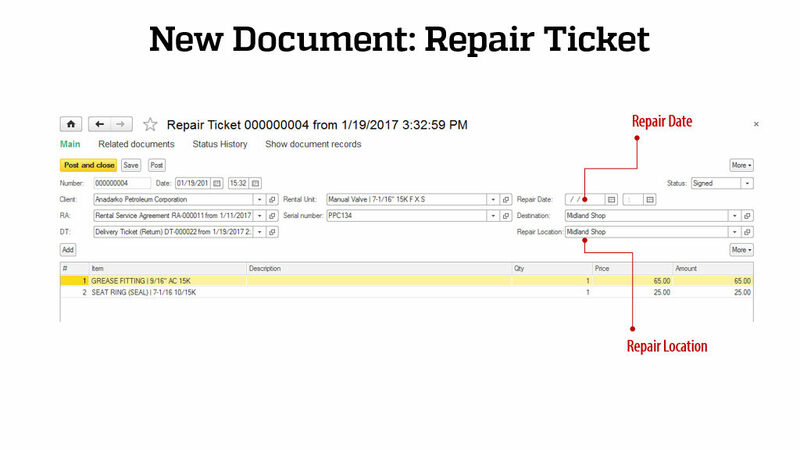 You can find new document Repair Ticket in Oilfield Rentals Menu after Rental Equipment Repair Module activation. Lost is a temporary status of serial number, which may be found late. Cost of this unit will be reimburse to client. Equipment requires periodic inspection and repairs. Usually rental company checks equipment conditions after each oilfield job. Filed Technician or Shop Manager can sort serial number by conditions and separate good from damaged, sold and need repair units. 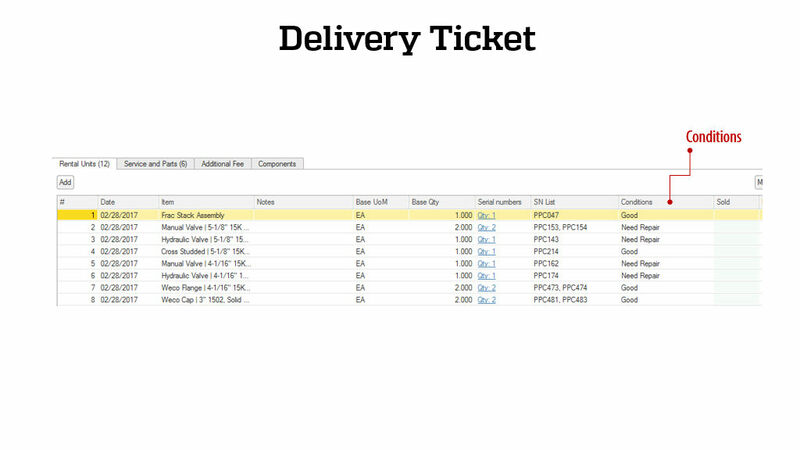 Special columns appears in Return Delivery Ticket: After Job Conditions, Sold. Good conditions selected by default. 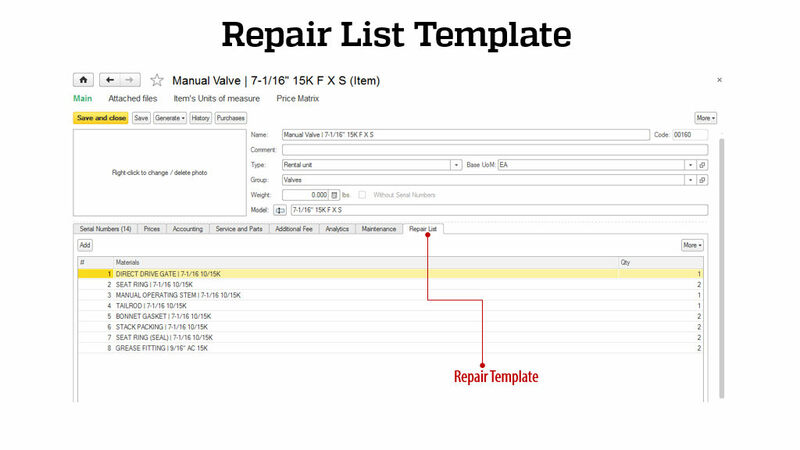 Use the Repair List Template to fast generate Repair Ticket. The rental units will be moved to repair location (shop) and new Repair Ticket will be generated automatically based on Repair List Template. 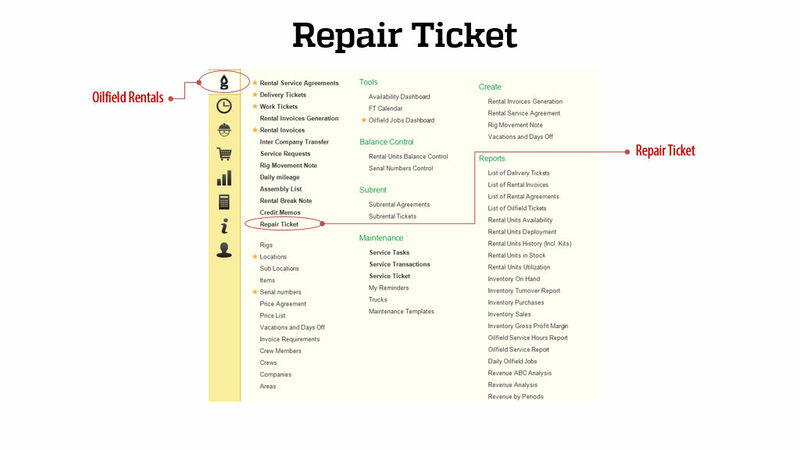 The Repair Ticket includes materials and service used to repair damaged unit. 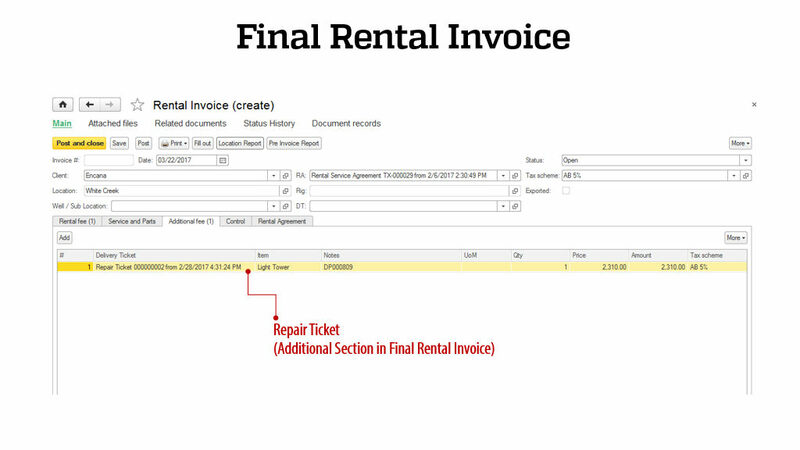 The Repair Ticket will be included to the final Rental Invoice. 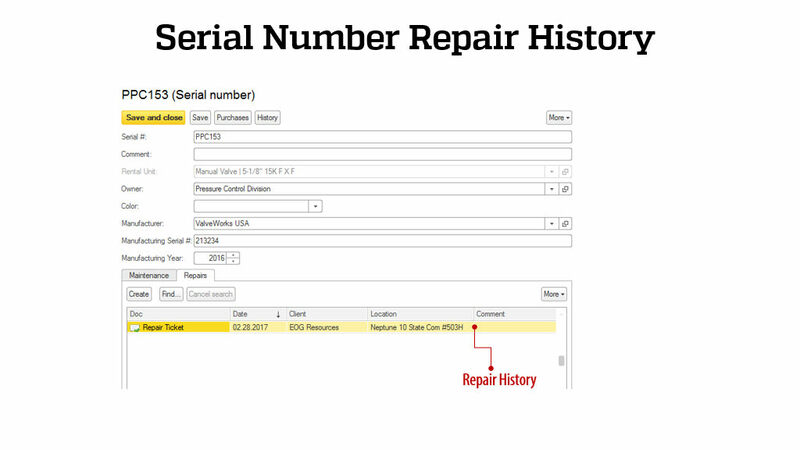 The equipment repairs history is available in Serial Number card. RigER Version 3.5 – Rental Equipment Repairs.